Landing total comfort takes more than finding the perfect temperature. You must set your sights on the perfect moisture level, too. The reason for this is that the amount of humidity in your indoor air heavily influences how the temperature in your home actually feels, regardless of what the thermostat reads. You don’t need a little birdie to tell you whether your home lacks the moisture it needs. From cracks forming in your home’s wood furnishings to chapped lips and dry nasal passages, you’ll know when your home’s air is too dry. However, adding a home humidifier from Swanton Energy Services will balance your air with the perfect amount of moisture. This is a difference you’ll feel. It may be a strange concept to absorb, but your air actually needs a certain level of humidity to keep your comfort soaring. You see, air that is too dry acts like a giant sponge. It soaks up moisture from everything that it touches in your home, including your woodwork, wood floors and furnishing and, unfortunately, your body. But don’t let dry air ruffle your feathers. Going from sinking to swimming is as simple as adding H2O—and that’s exactly what our humidifiers are designed to do. Not having enough humidity in your home forces your HVAC unit’s performance to take a nosedive. But it doesn’t go down alone. It takes your comfort down with it by affecting how hot or cool your space feels. At Swanton, it’s our goal to make your home feel like it should—comfortable. But don’t delay your flight to total comfort. Instead, dip into the perfect humidity level by filling out our online form or calling us at 732-335-6731 today! If you’re sick of feeling uncomfortable in your own home, then Honeywell’s breakthrough TrueSTEAM humidifier is your saving grace. 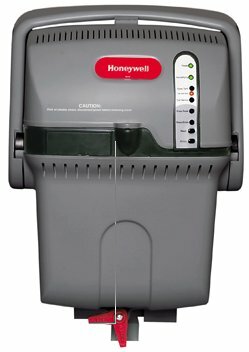 What’s unique about this system is that it doesn’t use moisture-filled pads (which are susceptible to bacteria growth) to humidify your home. Instead, to ensure your home and your family receive the right amount of moisture, it relies on steam. Not only is this the cleanest method for humidification, but it also uses significantly less water than other whole-house humidifiers—while doing a better job!